PA7 Series Quick-lock Connector with Cable. The PA7 series is a quick lock cable with connector that connects with just a 1/8 turn of the lock ring which enables a significant reduction in time and wiring labor. The series uses the highly compatible M12 threaded connector and UL/NFPA79-compliant cable (CM). 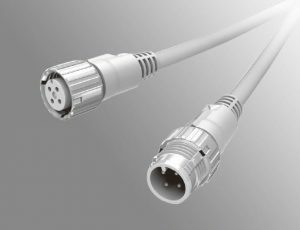 Select from a large variety of quick-lock connector types and cable lengths.